Starting on the front row from 4th was always going to be a struggle to get into turn 1 with the lead, but add to that Wayne’s poor start and he was sitting in 8th position on lap 1. Wayne clawed his way back to 5th position and then suffered arm pump which made it very difficult to hang onto that position. Wayne finished the race in 5th position with the second fastest time of the race and also clawed back one point towards the championship lead. Wayne got a better start and only lost one position at the end of the first lap, it was a dicing match mid way in the race with a few riders of which Wayne managed to break them with 3 laps remaining. He managed to finish 4th in the race after experiencing braking issues. 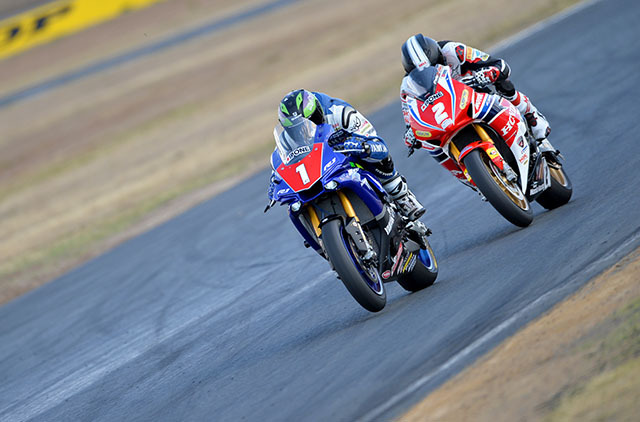 It’s the halfway point of the Australasian Superbike Championship, Wayne heads to Queensland Raceway with all the racing action starting on Saturday 15th August. Live streaming is available on Sunday via www.waynemaxwell.com.au. After the successful Queensland Raceway testing late last month, Wayne heads to this round with intensions of closing the championship lead. Wayne currently sits second in both championships just 8 points off the lead in both. 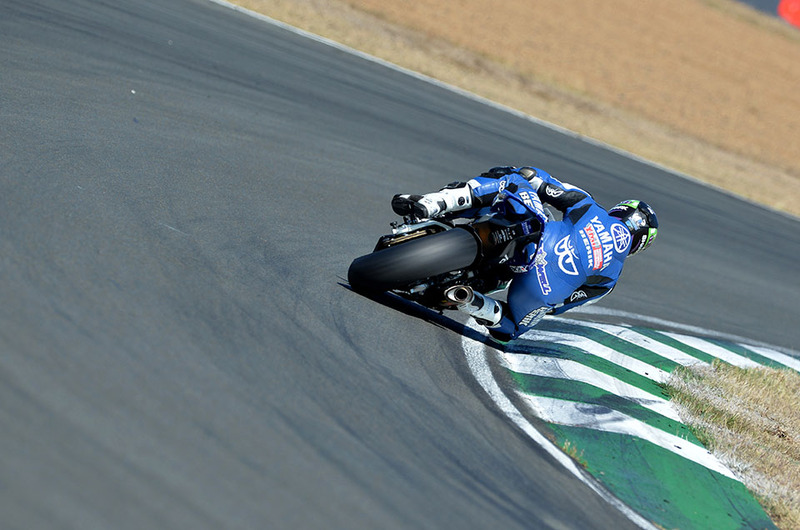 Friday Practice and Qualifying commenced in perfect weather conditions that saw five riders eclipse the previous lap record of 1:09.067 including Wayne. After some minor bike adjustments in practice we had a good consistent pace, leading two of the four practice sessions was encouraging in preparation for the 16 minute qualifying. In qualifying the pace was fast as everyone tries to put down a quick lap early to conserve the tyre use, qualifying tyres are allowed to be used in any race over the weekend so it’s important that we don’t put many laps on them. 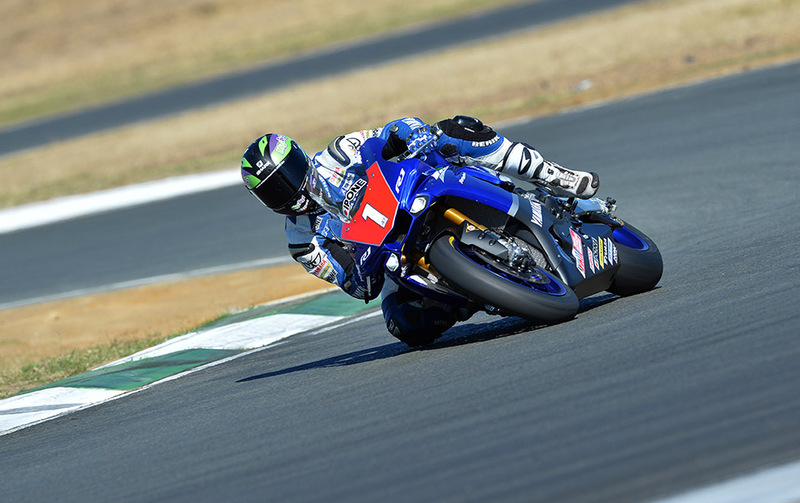 Wayne completed qualifying in 4th position on the front row putting in the least amount of laps than any other rider and was only .300 off pole position. 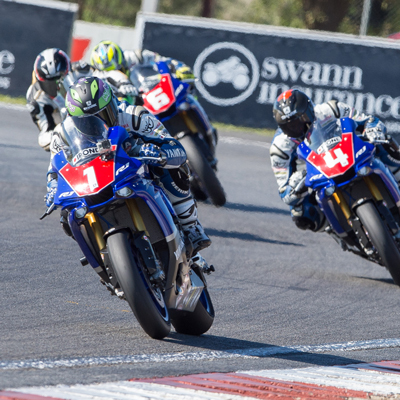 You can watch all the live timing of today’s event via www.computime.com.au or watch the live streaming on Sunday via www.waynemaxwell.com.au. 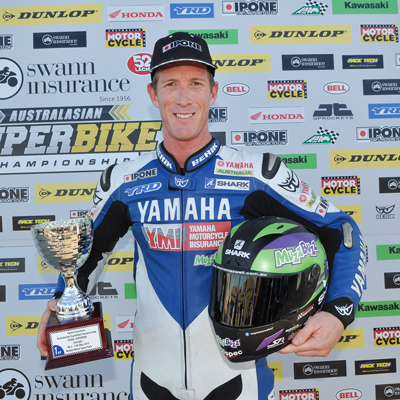 Wayne is sitting 2nd in the championship and heads to Queensland after some good testing in late July. Watch all the action live Sunday from 9.10am. 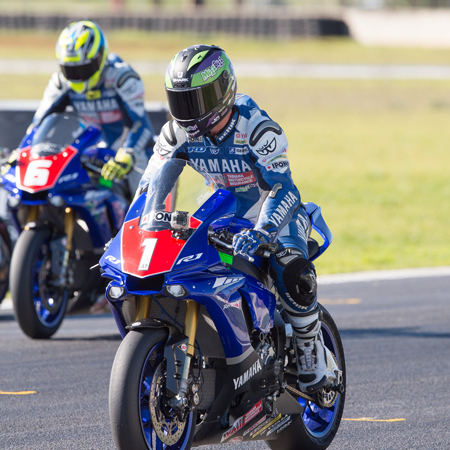 In a weekend of close and intense racing, it was Maxwell that came out on top, giving the all new Yamaha R1 its first major round win on Australian soil and boosting the confidence of the entire YRT outfit.